I commonly hear from new patients how their Botox treatments from other offices does not last long enough. While it is true that Botox works very well for 3 to 4 months, we often hear theses patients describe how their Botox results did not last longer than 2 or 3 weeks, or the Botox results did very well at first but wore off sooner than expected, perhaps in 1 to 2 months. Although “immunity” to Botox and other similar products like Xeomin and Dysport are possible, it is extremely rare. Other possible causes are the in-experience of the injector and/or over-dilution of the product. However, one of the most overlooked reasons for premature Botox breakdown is that most offices do not store their Botox properly. Botox must be in a cold enough environment before it is prepared from a powder to a liquid and thereafter at the proper temperatures (36° to 46° Fahrenheit). 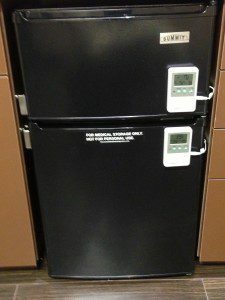 Most practices have no idea if their freezer and refrigerator are at the required temperatures set forth by the makers of Botox, Xeomin, or Dysport. Most simply do not have thermometers or the thermometers are hidden somewhere inside and not looked at on a regular basis. You may be surprised that many offices store their Botox in small one door refrigerators with a small freezer inside. The same kind you would find in a college dorm! 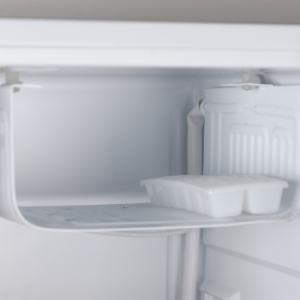 Unfortunately the constant opening of the door to retrieve other items has a dramatic effect on the tiny, under-powered freezer’s and refrigerators temperatures. Since Botox is a purified protein it cannot tolerate these fluctuations and lower temperatures, which simply breakdowns the Botox making it much less effective. In scientific terms we call this denaturing the protein’s molecular structure and you see this as Botox wearing off too quickly. At Refreshed Aesthetic Surgery details matter. 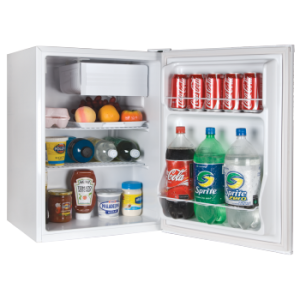 We use only medical grade refrigerators purchased from medical distributors, not Costco, Walmart, or Home Depot. Additionally our freezer and refrigerator compartments are separate. Furthermore, the actual temperatures are monitored 24/7 and if the power were to go out, the refrigerators and freezers storing our Botox are hooked up to generators, ensuring our Botox is always at the right temperatures. Since Botox, Dysport, and Xeomin are expensive treatments, make sure the office you seek treatments from cares about your results (and safety) and follows the proper guidelines for storing these products.